Chainlock Connectors have been designed specifically for joining together conveyor chains. 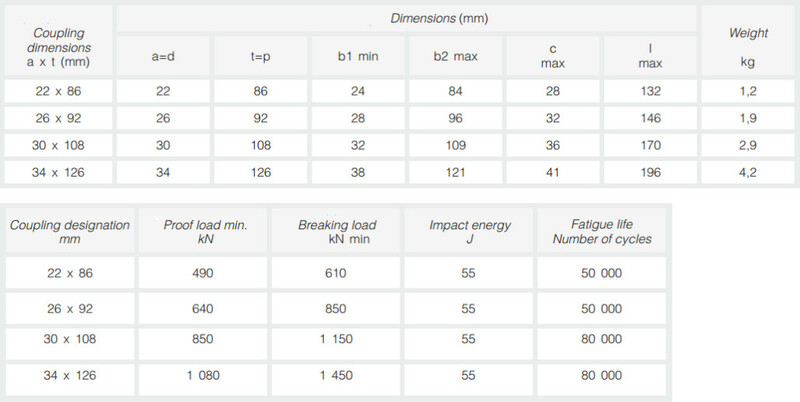 This performance has been achieved through careful choice of materials and heat treatment whilst keeping the dimensional properties of the mechanical joint within DIN 22258 Part 2 2003. 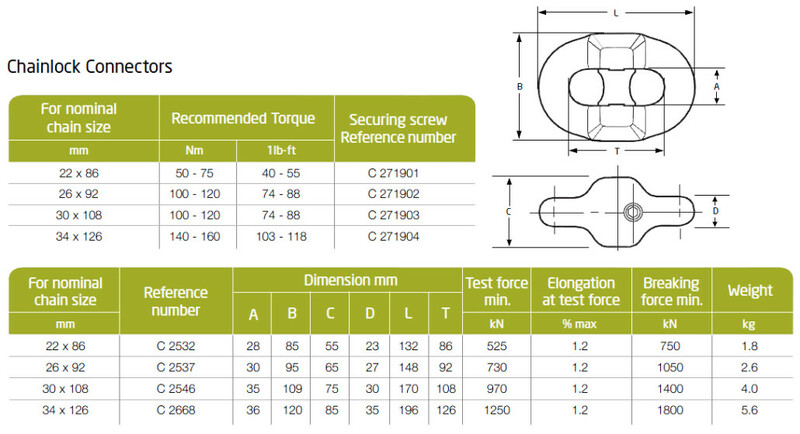 This will ensure that the Chainlock Connectors – which must be installed in the horizontal plane of the chain only – will safely negotiate sprockets that have been designed with this specification and requirements in mind. 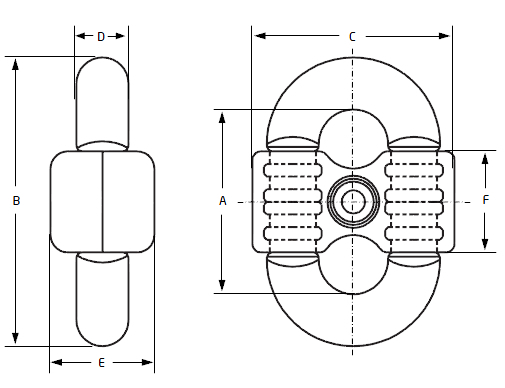 T-Tooth Bi Planner connectors for use in both vertical or horizontal planes of the chain. PADLOCK CONNECTORS MUST BE INSTALLED IN THE HORIZONTAL PLANE ONLY. It is essential that the grooves and faces are clean and thelocation marks are correctly matched before assembly. 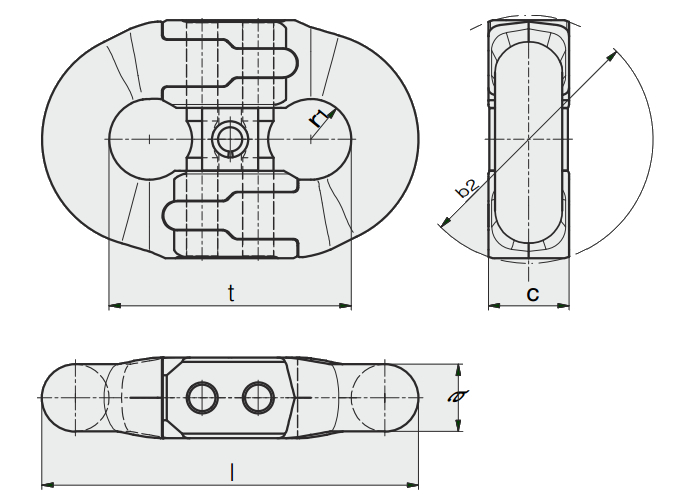 Flat Link Bi – Planner connectors are for use in both the vertical or horizontal planes of the chain. Mechanical requirements are specified in the DIN 22 258-1 standard, article 5.6.